Ever since our trip to Bora Bora we have been dreaming about visiting other water villas or water bungalows as they are called in the South Pacific. Waking up to the sounds of water lapping gently on the stilts, enjoying a morning coffee or mimosa watching the tropical fishes, spending lazy days on the sandy beaches and waiting for epic sunsets from the solitude of the private water bungalow balcony … spending a few days on the water villas strung like pearl necklaces onto dreamy atolls, seemingly afloat on the turquoise ocean it truly is paradise whether you are on a honeymoon, babymoon or familymoon! Most of the world’s water villas or water bungalows are located in the Maldives. The huge group of tropical atolls and islands has more than 80 water villa resorts alone, and its location just southwest of India makes it easy to reach for anyone from Europe or Asia, but is a trek from the Americas but ohh totally worth the trip! There are other water villa resorts in Asia as well – in Malaysia, Cambodia, Indonesia, Philippines, Thailand and there are even a few in the Caribbean. To reach the Gili Lankanfushi Maldives you’ll need to fly to the main Malé International Airport in the Maldives. From there you’ll be met by resort staff and put on a private boat for the 20-minute speedboat ride to the hotel’s island. Conrad Maldives has about 70 villas and located in Rangali Island located in the Alif Atoll, approximately 96 kilometers west of the main island of Malé in the Maldives. Once you fly into Malé International Airport in the Maldives, you’ll board a seaplane for the 30-minute flight to the small island where the resort lies. Part of a 5-star resort division of the Hilton Hotels group, the Conrad Maldives Rangali Island offers great value in the luxury class. All water villas here are large or huge, and all are well equipped with luxury amenities that you’d expect in a top-end Hilton hotel. 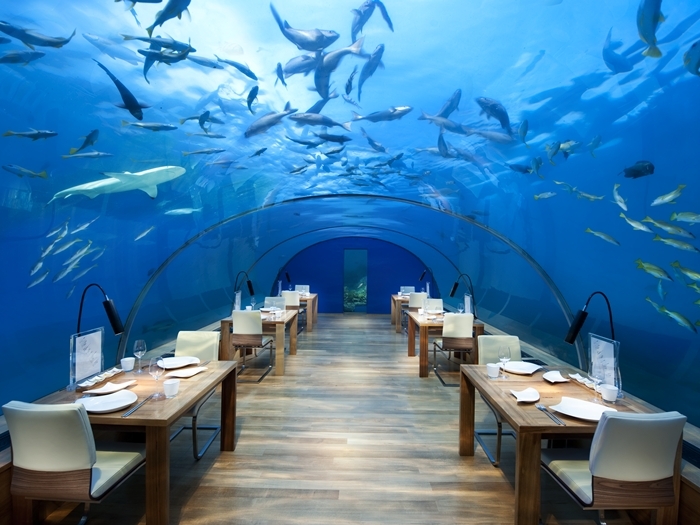 You might want to go there just for a memorable meal at Ithaa, undersea restaurant. There’s a Kids’ Club here, plus even a Kids’ Spa, so everyone can stay active and even get pampered a bit. There is also a tennis court and a large infinity swimming pool in addition to the many water sports activities on offer. The Conrad Maldives Rangali gets great reviews from everyone, including from families. 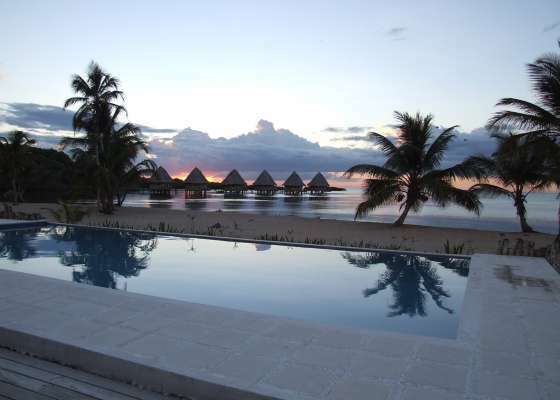 We have been to Bora Bora and Moorea, I’m still keeping French Polynesia on the bucket list. Since there are a couple more resorts like the Brando and Four Seasons Bora Bora that I would love to visit. If you’ve seen photos of thatched-huts on stilts overlooking a clear lagoon with striking green mountains behind them, you will understand the allure of Bora Bora in the South Pacific. After a 50-minute flight from Tahiti, you’ll reach this island group featuring 10 overwater-bungalow resorts. Although advertised as a honeymoon destination, it is perfect for familymoons as well. El Nido resorts has three properties -El Nido Lagen , El Nido Apulit , El Nido Miniloc. 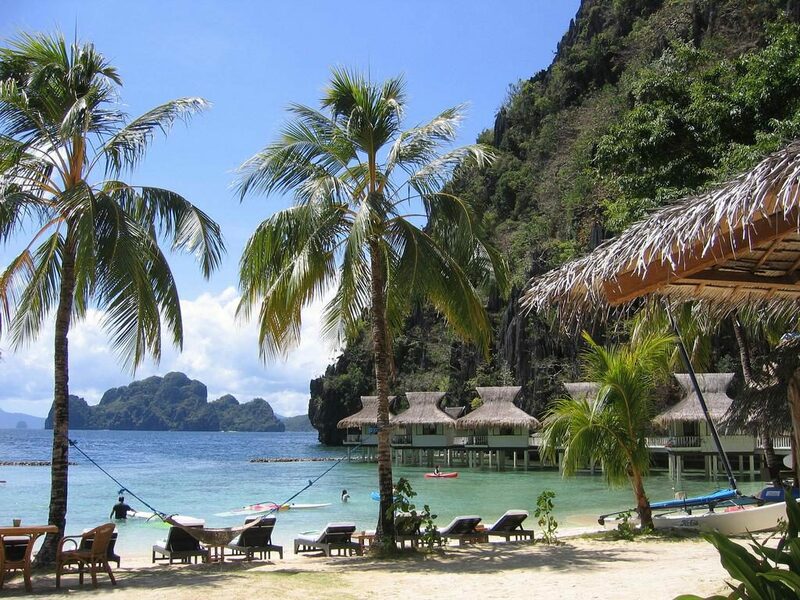 The El Nido Lagen Island resort is the most luxurious and most expensive of the three El Nido hotels in the are. Our favorite El Nido resorts, would be the El Nido Miniloc featuring just 5 water villas and no other rooms, is quite a breathtaking location on its own island. This eco-resort has a long list of water sports and activities available, so as long as the kids and families are looking for an escape in paradise, you can’t go wrong. There’s no TV or entertainment system, so this is ideal for families looking to escape the modern world. Since there are three El Nido resorts close to each other, you can choose to stay at more than one of them. The El Nido Apulit Island Resort is located on a small private island just north of the island of Palawan in the Philippines. To reach the Apulit Island Resort you’ll need to fly to Manila and then take a short flight to the town of Taytay. From there you’ll get ground transportation to the jetty, and then a 75-minute ferry ride to the resort itself. 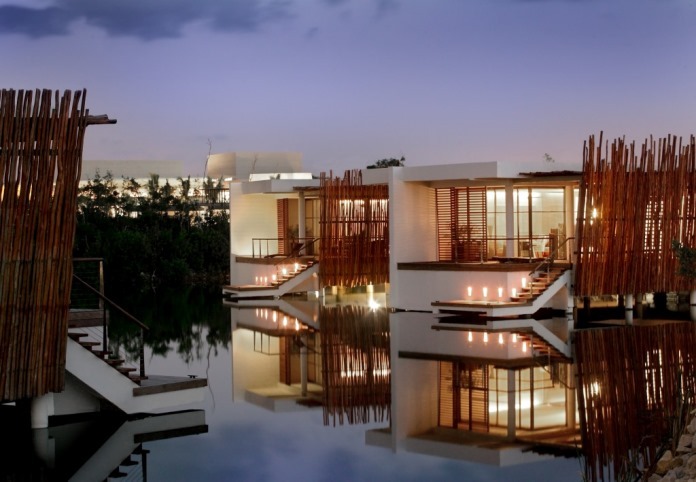 Located in a special compound near Playa del Carmen – 40 miles south of Cancun, the Rosewood Mayakoba Resort has 18 Deluxe Overwater Suites perched above its mangrove lagoon. Each of these suites is nearly 1,000 square feet, and comes with a heated plunge pool and a wide array of modern luxury amenities. 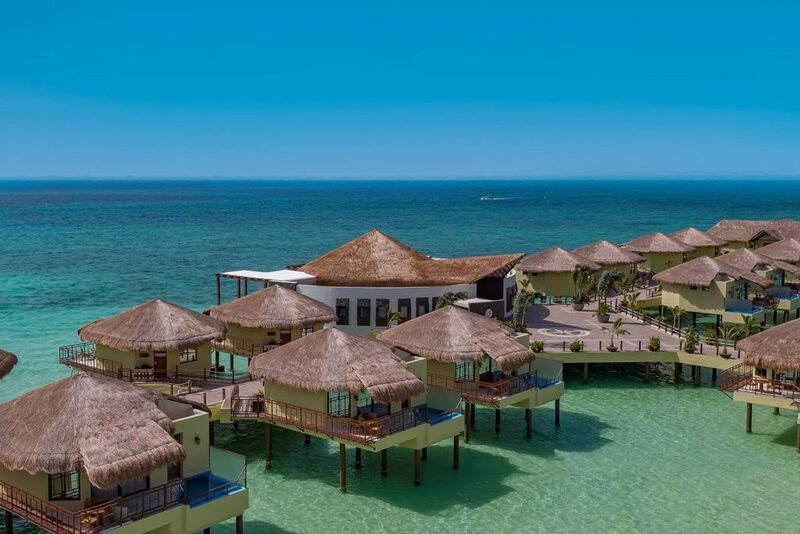 Definitely the closest thing to the overwater bungalows in the Caribbean, this resort also has oceanview rooms and other luxury suites, and it’s one of the highest rated in all of Mexico. Better still, the location is less than an hour away from the Cancun Airport, so it’s far more convenient to reach than any of the other resorts on the list. With just 6 overwater bungalows plus two restaurants and a spa, the Coral Lodge is a boutique resort in a secluded part of the San Blas Islands in Panama. The bare-bones and eco-friendly approach means there is no TVs or internet here, so a distraction-free vacation is nearly guaranteed. Coral Lodge is located west of El Porvenir along a secluded stretch of the Caribbean coast. Coral Lodge has something for everyone from mangrove and river kayaking, jungle hikes, sport fishing and moonlit strolls to horse riding along deserted beaches and scuba diving. Only 2 miles from the resort, is an extensive unexplored pristine reef known as “Baja Escribano.” An under water wilderness of un-touched corals, sponges and a variety of marine life. With rainforest and coral reefs at your doorstep there is so much to explore and wildlife waiting to be discovered. Navigating the Panama Canal alongside towering cargo vessels is an unforgettable experience. After which you can take light aircraft flight from Panama City to the San Blas Islands and Mamitupo airstrip. From here you can arrange for transfers to your Coral lodge. 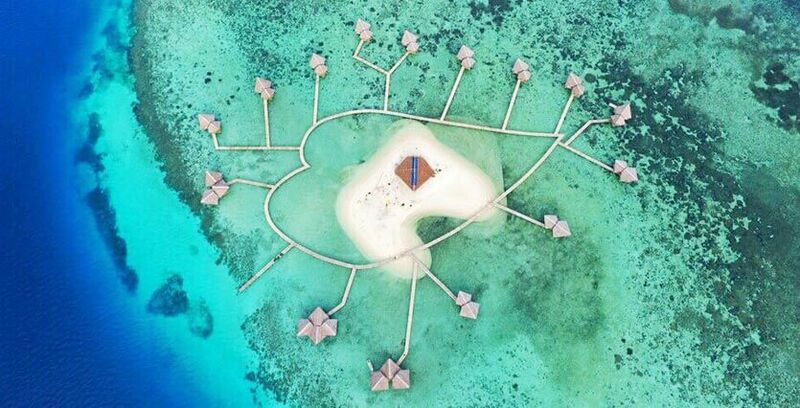 A small eco resort that features only overwater villas, the Pulo Cinta Eco Resort in Indonesia offers snorkeling and scuba diving opportunities on a private island reef. Alongside the reef is a small sandy area (beach) that you can enjoy your afternoons on if you don’t want to be in the water the entire duration of your trip. The rooms here are all situated over the water, with a long private boardwalk that stretches to each and every single one. This means that you’ll have plenty of privacy as your neighbor is not directly next to you. The rooms come in three classes, 1 bedroom, 2 bedroom, and 3 bedroom which are perfect for families or bigger groups. You will begin yout trip with a flight to Jalaluddin Airport, Gorontalo Province of Sulawesi where an exclusive airport pick-up will be waiting for your arrival and ready to take you further into an exciting journey to Pulo Cinta. The Song Saa Private Island Resort has 9 water villas that bring a new scale of luxury to the Cambodian market. The location is a convenient 30-minute boat ride from the Sihanoukville Airport, yet the setting is extremely private and exclusive once you arrive. Each water villa has a private pool and the entire resort operates on an all-inclusive basis so it’s better value than you might realize, especially considering the excellent kitchen. There are 18 garden and beach villas that are also impressive. 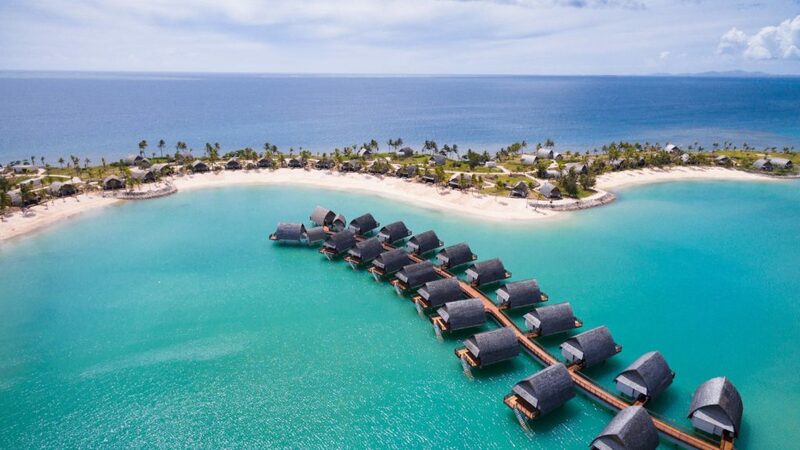 Although it is set on a man-made lagoon, the Marriott Momi Bay is Fiji’s luxury, 5 star resort featuring elegant bure villas with unrivaled lagoon and ocean views in a serene setting at pristine Momi Bay. Intriguing dining options and three large swimming pools, including an adults only pool, a swim-up bar and a children’s pool. It looks like the perfect setting for a tropical paradise. Located on western coast of Viti Levu, it is only a 45-minute drive from Nadi International airport. 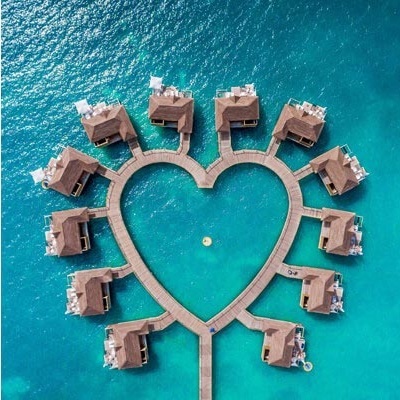 This adults only watervillas that form the shape of a heart over the tropical Carribean water is truly unique. Opened in December, 2016 at this ultra-luxurious Sandals all-inclusive resort is close than most other water bungalows. Each of the 17 overwater bungalows come with a private pool, jacuzzi, glass floors, and a personal butler. Because of all of the luxuries found in each and every room, you’ll find that this resort is one of the finest resorts in the Caribbean, with room rates to match. El Dorado Maroma is a new resort that has 30 adult only overwater rooms. Not only are the water villas adult only, but they also come with a long list of amenities including a large bed, entertainment system, mini bar, sitting area and a private deck with steps leading straight into the ocean. In addition, guests will also find a rather large glass floor cutout in each suite that allows you to view ocean creatures below without every having to go into the water.Outside of the rooms, El Dorado Maroma Resort features a spa, various dining choices via restaurants and bars, various activities, including swimming, snorkeling, scuba diving, beach volleyball and much, much more. Any one these water villas is a ‘Postcard destination’ for sure, which ones are you dreaming of? Are there any other water bungalow destinations that you would add to this list? really awesome to watch.Its my dream to visit all these places. The post did its job! Now, my mind is made up! Our next ocean trip will include staying at one of these breathtaking overwater bungalows. 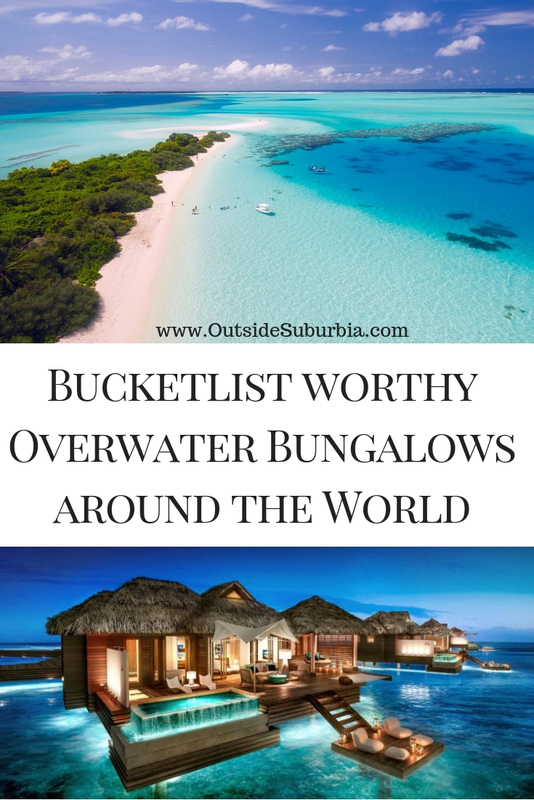 Thanks for putting this list together..
Would love to stay at any of these, but my #1 pick would be Gili Lankanfushi Maldives – looks amazing!! 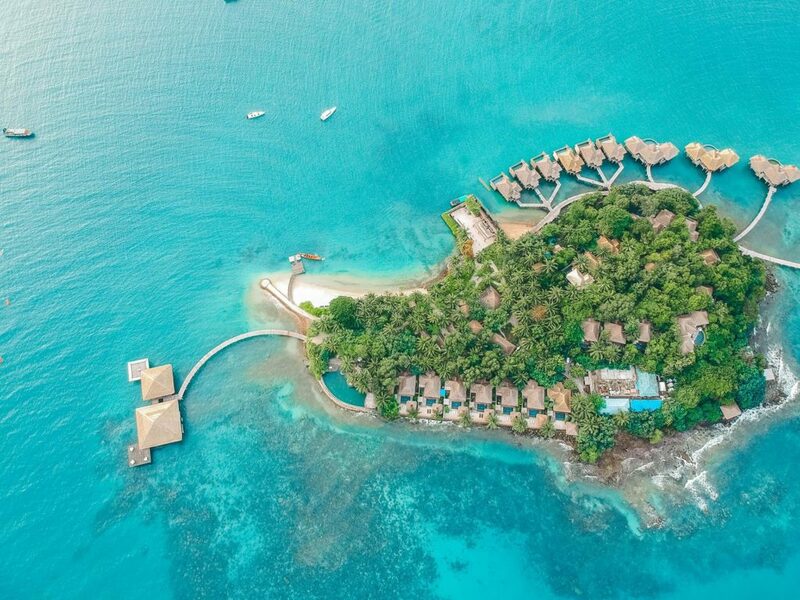 We’ve seen the one in Panama … but having been to Bocas del Toro, two other overwater hotels are on our bucket list: Conrad Maldives, which you mentioned (mostly for that underwater dining room), and the St. Regis in Bora Bora, which is said to be the best in the south Pacific. We’d like to find out first-hand if THAT is true! Wow. Just wow! All of these places are gorgeous, but the Gili Lankanfushi Maldives is breathtaking…..take me there now! Wow! Just wow! 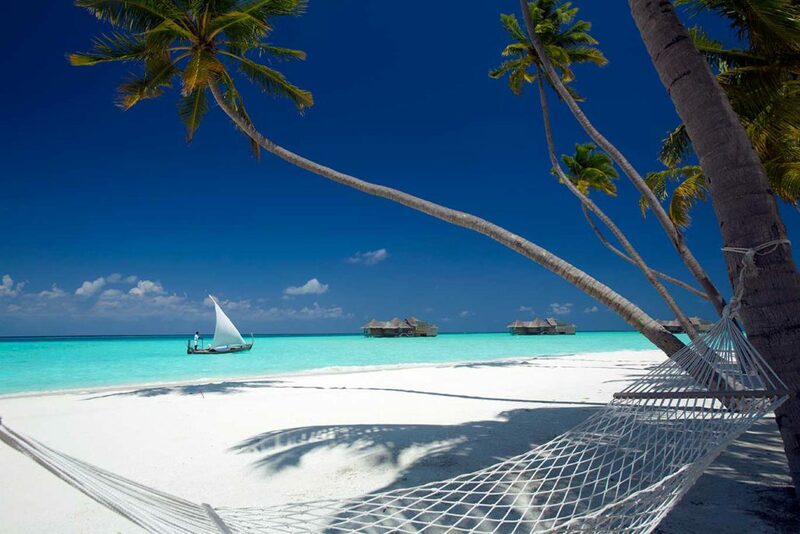 They are all amazing, but he Gili Lankanfushi Maldives is breathtaking…..take me there now! I would also love to try the underwater restaurant. Great pictures! I want to go to the underwater one in the Maldives. I bet it’s amazing! I’ve been to El Nido and loved it! Looks like I have a few more to check out! The Maldives have been on my list forever now, though we’ve just moved to Australia so I think the Philippines may be a little closer and easier to organize. Had no idea that they had overwater bungalows here too, so you may have just made my dream a little more possible! Thanks! I totally want to go to the Philippines and Maldives as well. There are so many beautiful destinations in the world, it’s so hard to decide where to go next! 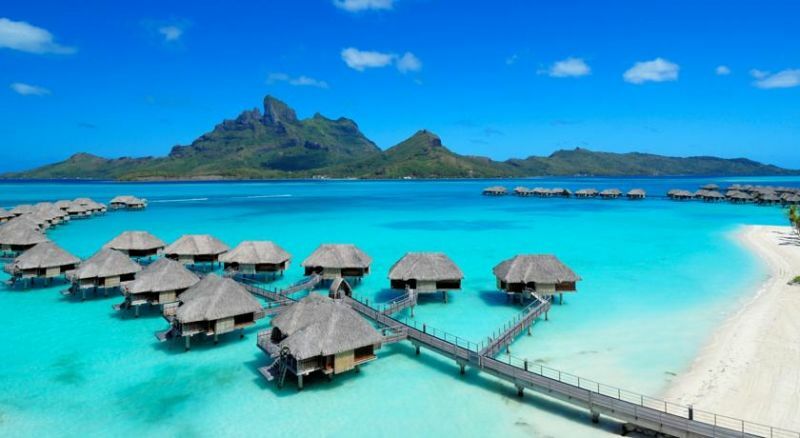 I would love to stay in one of these overwater bungalows. That would be great. My grandfather used to have an overwater house in a mangrove area. The house was reached by boat. It was so much fun to stay there. Looks so lovely. I’ve had that underwater restaurant and diving in the Maldives in my sights for a long while. Now I know about the bungalows I have to make it a reality. Oh wow! What an incredible list of water Villas! Gili Lankanfushi sounds absolutely wonderful and incredible. The moments overlooking the water and watching the sunrise/sunset must feel really special. I’ve saved this list for my next trip to S. E. Asia. Adding all of these in my bucket list!! Great post…giving me a wanderlust! Great list. I would like to visit one of them as soon as possible. Although the Philippines has been on my bucket list for awhile, I would take ANY of those in a heartbeat! Granted, these type of villas are usually a bit out of our “budget traveling” type of accommodations, but it is nice to dream! I want to go to all of these. Right now, in the middle of our snow. I love the snow, but I think I’d love these bungalows more! Oh. My. Word. I want to go to all of these places! Conrad Maldives and El Nido Philippines are my favorites of 5 – with the Philippines being slightly more of a potential from a geographical perspective. Thank you for shortlisting such wonderful destinations – you’ve definitely peaked my interest! The Maldives looks amazing, I’m still incredibly jealous that Drew’s spent time there and I haven’t yet. I think that alone is an excellent reason to go but when you look at that white sand and turquoise water … just WOW! I totally want to go to Gili Lankanfushi. I was living in Qatar the last 3 years and was SO CLOSE to the Maldives. But I didn’t get there!